Actor Clark Gregg took to social media to announce his arrival on the set of Captain Marvel, and MCU fans are now a lot more excited for the project than they were a few weeks ago. 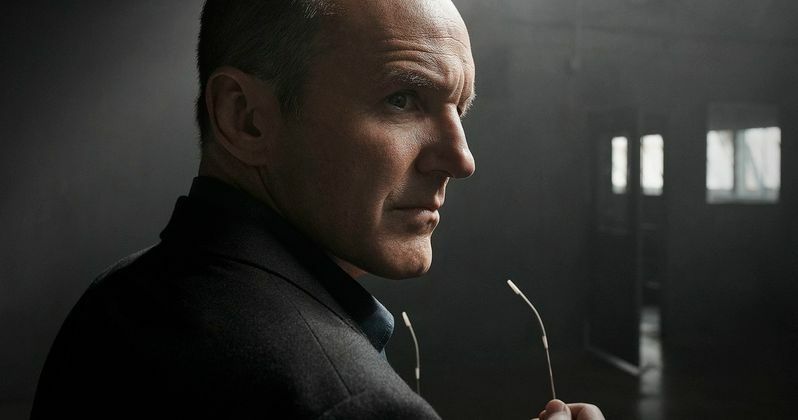 The addition of Agent Coulson into the cast was announced a short while ago, and many have begun to speculate what this means for the Marvel Cinematic Universe and Marvel TV. For now, fans can rest easy knowing that Agent Coulson is back on the big screen. Clark Gregg's Agent Coulson is a fan-favorite character who lives on in the Agents of S.H.I.E.L.D. TV series after dying in the first Avengers movie. However, his revival has not been recognized by the MCU at this time. Gregg was able to return for Captain Marvel because the movie takes place in the early 1990s, where it will see him alongside Samuel L. Jackson's Nick Fury again, but this time Fury has full use of both eyes. S.H.I.E.L.D. is expected to play a pretty large part in the upcoming movie, so fans of Clark Gregg and Agent Coulson should be pretty excited. In addition to Nick Fury and Agent Coulson, Captain Marvel will also bring back some old favorites who first popped up in the MCU in Guardians of the Galaxy Vol. 1. Lee Pace is back as Ronan the Accuser and returns alongside his Guardians of the Galaxy co-star Djimon Hounsou, who is reprising his role as Kree mercenary Korath the Pursuer. Ronan and Korath are both members of the alien Kree race and served Thanos. Their inclusion in Captain Marvel is also just as welcomed as Samuel L. Jackson and Clark Gregg's. Though nothing has been officially announced, Marvel fans are beginning to wonder if Agent Coulson's return to the MCU in Captain Marvel will lead to him coming back to the MCU in a more permanent role in the present-day universe. This would definitely go a long way in pleasing fans, but the MCU hasn't touched any of the Marvel TV material before, so it seems unlikely at this time, but anything is possible. Even if Agent Coulson made a small cameo in the upcoming, still untitled, Avengers 4, fans would be pretty ecstatic. Brie Larson and the rest of the crew of Captain Marvel have been hard at work since production started a few weeks back. The movie is filming in and around the Los Angeles area and was recently spotted in Ventura County filming a carnival scene. Jude Law has also been spotted on the set of Captain Marvel, but we've yet to see him in costume as of this writing, but there have been plenty of shots of Larson in her costume floating around. In addition to working on the set, Brie Larson has also been documenting the training regimen that she has been undertaking to stay in Captain Marvel shape and it looks intense. While we wait for more news, you can check out Agent Coulson's return to the MCU below, courtesy of Clark Gregg's Instagram account.